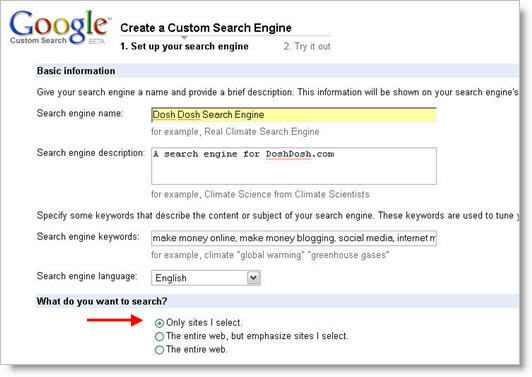 How to Set up Google Custom Search for Your Website. Visitors often visit websites and perform keyword searches in order to find the information they require. One way to make money from this often repeated user action is to display targeted advertisements on your search results pages. 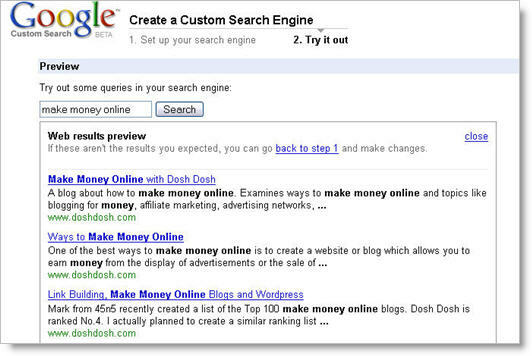 I’ve inserted a Google Custom Search engine on Dosh Dosh a few months ago and I thought it’ll be helpful to share the process of setting up a Google Custom Search for your own site, in order to generate some extra income. What is a Google Custom Search Engine? Apply your Website’s look and feel to the search results page. Provide search refinements within results pages to make it easier for searchers to find the information they’re looking for. 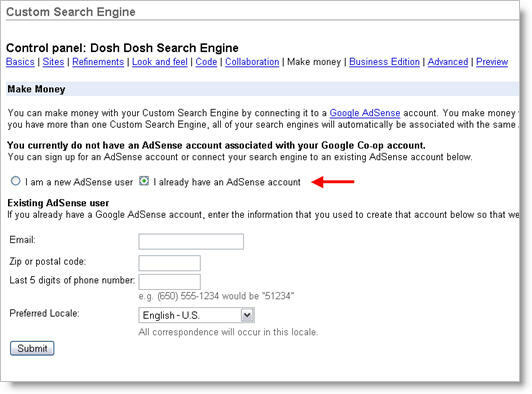 Make money from your Custom Search Engine by participating in Google’s AdSense program. There are two main ways for visitors to experience your Custom Search Engine. One way is to direct them to a Google-hosted results page when they type in a search query and the second way is to integrate it by hosting the search results on a page within your website. 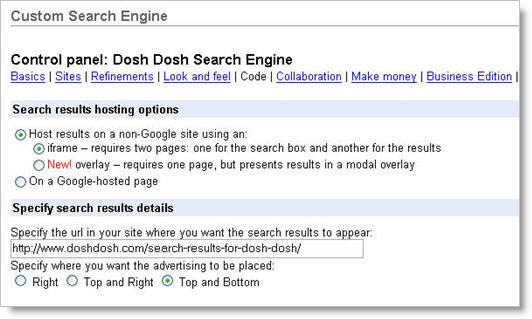 Currently I’m using Google’s Custom Search Engine for Dosh Dosh and you can see it on the top right hand corner of every page. Typing in a search query and clicking ‘search‘ will bring you to a search results page on the left, where the content section is currently located. 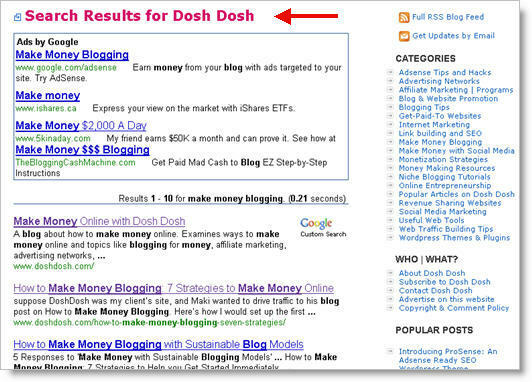 Here is an example of a search for ‘make money blogging‘. Note that the Adsense ads appear at the top (this is changeable) and the search results show up below it. I am using Google custom search instead of the internal Wordpress search function because I feel that Google’s search results are far more relevant and precise. I also choose to use Custom Search because it allows me to make money from Adsense for Search, which allows you to monetize your search results pages with ads. A look at my Adsense stats shows me that I’ve earned approximately $20 in this month. It’s not a lot of money at all but it is still an additional source of income, particularly if you are already running Adsense on your site. Like the traditional Adsense units, how much you earn might vary depending on the ad placement and traffic levels. If you like Google’s search results but don’t feel the need to monetize, set up the custom search engine without advertisements. While writing this article, I found out that SEOmoz had a similar post on how to perform the same steps. 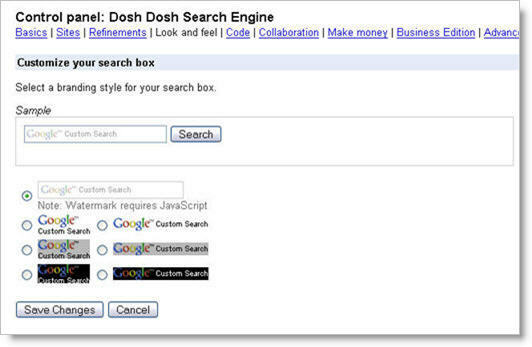 I’ve decided to use my own commentary instead, as some readers have been asking me how I set up the google search box on Dosh Dosh. There have also been some changes (additional features) within Google’s Custom Search function so this will be a more current post on this topic. Here are the exact steps needed to successfully set up and integrate Google’s custom search engine into your website. 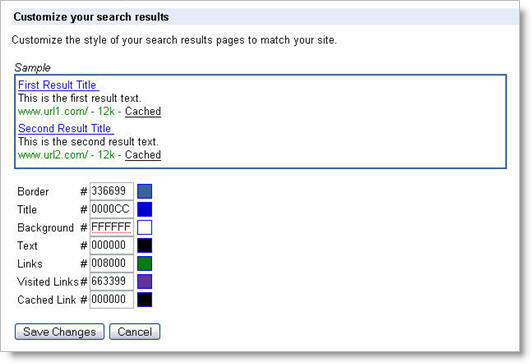 This will teach you how to make the search results show up within a designated page on your site. Start first by creating a web page on your domain for the search results page. If you are on Wordpress, simply click on ‘Write’ and then select ‘Write Page’. Name the page by using ‘Search results’ or something similar as the Page title. Leave the text box blank and publish or save the page. Note down the URL for the webpage as you will need to use it later. 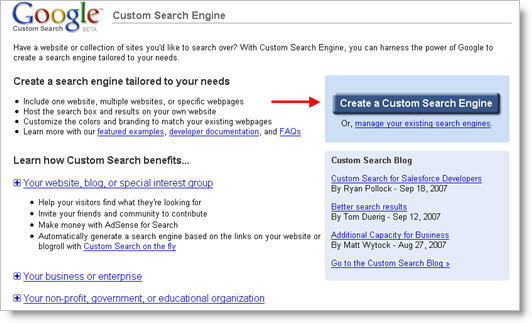 Visit the Google Custom Search Engine homepage and click on the ‘create a custom search engine‘ tab. After which, fill in the name of your search engine, along with the keywords. Be sure to select the ‘Only sites I select‘ option and then list your site URL in the Sites to Search box. 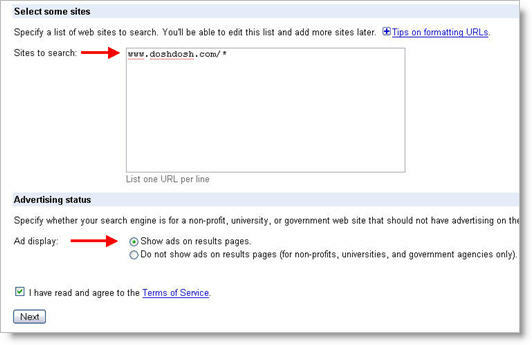 Also remember to select ‘Show Ads on results pages‘ if you intend to run ads. 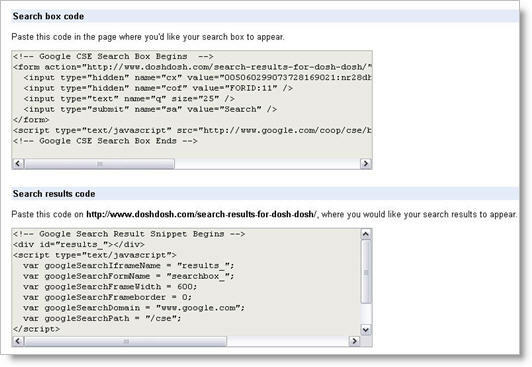 After creating your custom search engine, you’ll be asked to test it by entering some keywords. Type in some keywords related to your site to see the results. link. This is where you will able to determine the branding style for your search box, along with the style of the search results page. Choose the right colors so that the results pages fit your overall design. You can also choose to add a logo to the Google hosted results page but in this case, it won’t be necessary as you are hosting the search results on your own site. 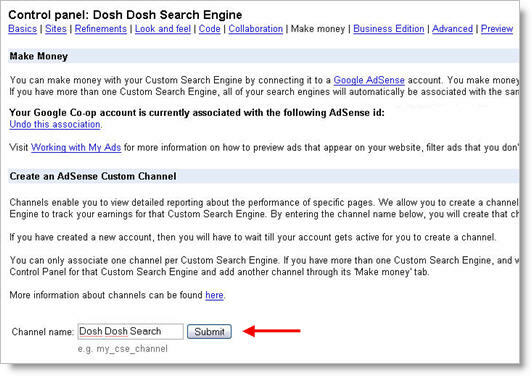 If you want to make money from your custom search engine, you’ll have to set up Adsense for search by clicking on the ‘Make Money‘ navigational link and connecting custom search with your Google Adsense account. If you already have an Adsense account, simply check the appropriate box and then type in the email, zip code, phone and location details associated with it. After doing this your custom search engine profile will be connected to your Adsense account. You can then set up a custom channel to track the amount of searches and money you are earning from it. Simply do this by typing in a name for your custom channel. 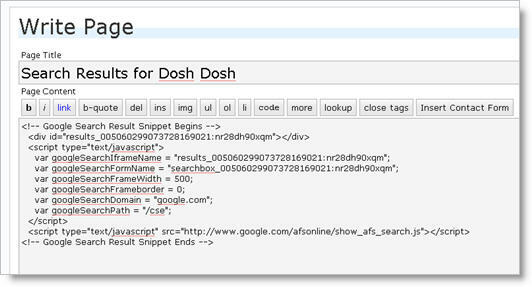 For example, I’ve used ‘Dosh Dosh Custom Search‘ as my channel name. This means that the same name will show up in my Adsense Dashboard reports as well. After you’ve completed the above steps, its time to insert the code on your blog. Go to the ‘Code‘ section of the control panel and select the iframe option. The new Overlay option will allow the search results to show up in a nifty Ajax-style overlay but unfortunately only the first 8 search results are displayed and you cannot make money through Adsense for Search. Only consider the overlay option if you are not planning to run ads. After choosing the hosting option, specify the search results details by inserting the URL where you want the results to appear. This would be the page you’ve created in step one. Then scroll down to the second half of the page to grab the search box code. Take the first code you see and place it where you want your search box to appear. After which, copy the search results code in the lower frame and place it where you want the search results to appear. Which means you’ll have to paste it on the new page you’ve created. For Wordpress blogs, simply open up your new page, insert the code in the empty text box and publish.